To and from the Northwest. Seattle, Tacoma, Olympia Washington, Portland, Oregon, San Francisco, Los Angeles, San Diego California, Phoenix, Tucson Arizona, Dallas, Houston, San Antonio Texas, and all other major US cities. We make your satisfaction our top priority and will ensure that your vehicle arrives on time and damage free. Our 22 years of experience in auto transport helps guarantee that your vehicle arrives safe and sound at your destination. We are a Seattle based, family owned and operated Auto Transport service provider with over 22 years experience in quality Car Shipping. We are the leading auto transport service provider in the Pacific Northwest. We have been in business since 2010 and have had the pleasure of serving many satisfied clients. (check out our reviews on Yelp and Google Places). 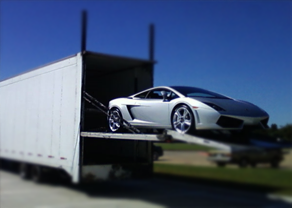 We offer the most comprehensive auto transport services nationwide and specialize in vehicle shipping to and from Seattle, Tacoma, Portland, Los Angeles, Dallas, Houston, Chicago, Detroit, Philadelphia, Atlanta Miami, New York areas (to name a few). If you’re looking for a trusted company who can provide value and and a high level of service, Interbay Transport Logistics will surpass your expectations. Our experience and expertise will help ensure that your vehicles arrive safe and efficiently at the specified destination. We will help you move your personal vehicles across the state or across the country. Very friendly and knowledgeable staff will answer any questions you have regarding shipping your vehicles by truck. 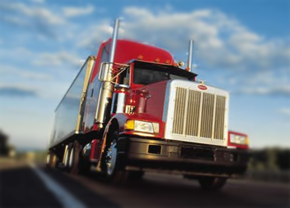 From a single vehicle to a truckload, ITL will handle your auto transport needs nationwide. For our Canadian Customers, we offer car shipping services to / from a storage facility in Blaine, WA. We have years of experience handling your Time Sensitive special events. Auto Shows, Sporting Events & Display events. 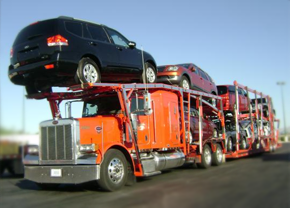 Whether you would like your vehicle shipped on an open car carrier or if you prefer Enclosed transport, ITL will accommodate both, upon your request. INTERBAY did an outstanding job moving my car from Tacoma to San Diego. They were timely, efficient and reasonably priced. The car arrived ahead of schedule and without any problems. Everything went smoothly and the car was delivered safely. The driver couldn’t have been more helpful. He kept us aware of where he was and when to expect him. He was friendly and personable ( and he really liked the car!). The whole experience was a total plus. We will recommend your services to anyone we know who needs to transport vehicles. Thanks so much for all your help. With sincere gratitude. …my vehicle was delivered Monday evening in fine shape. I was very happy with the service — faster than expected and the driver kept me up to date on his status numerous times on delivery day, which was great. Perfect execution. $25 Discount per vehicle for Veterans of US Military. A $50 Discount applies to all open trailer transported vehicles shipping over 1500 miles. A $50 Discount is applied if booked and shipped via enclosed transport. $25 Discount per vehicle for Repeat Customer Business. A $50 Discount applies to all open trailer transported vehicles shipping over 1500 miles. A $50 Discount is applied if booked and shipped via enclosed transport. $25 applies to all open trailer transported vehicles shipping under 1500 miles. A $50 Discount applies to all Enclosed trailer transported vehicles any distance OR all open trailer transported vehicles shipping 1500 miles or more. Corporate discounts available to employees of Microsoft, Boeing, Amazon or Children’s Hospital. Employment verification may be required. $25 Discount per vehicle for Government Entities or Employees of US Government entities (Federal, State & Local). A $50 Discount applies to all open trailer transported vehicles shipping over 1500 miles. A $50 Discount is applied if booked and shipped via enclosed transport. $50 Discount per vehicle for 2 or more vehicles booked and shipped at the same time. $100 Discount if booked and shipped Enclosed. Discount applied after the first vehicle. Daily storage rates are affordable and Parking is gated, monitored and secure. Contact us for details! We have partnered with a major steamship line to offer exclusive discounted rates to our customers for vehicle shipping to and from ports in Hawaii. Whether you would like the convenience of truck transport from anywhere in the lower 48 States or would be delivering or picking up from a West Coast port yourself, ITL can save you time and money. Please fill out the secured contact form below or contact us directly at the phone number provided. *All information provided through our online forms will never be sold to or shared with anyone.